Book ahead for 2019 & save! For those well-organised folks who are looking ahead to book glamping in 2019, here in Somerset at Woodland Escape, not only will we honour our 2018 rates for your booking in 2019 we will also currently provide 10% off accommodation rates with every stay booked before the end of September 2018. Plus for a limited time only, book the hot tub with your 2019 stay and we'll provide another 5% off, a total of a 15% saving on accommodation rates for your advance glamping booking, as well as honouring our 2018 rates before the annual price review. 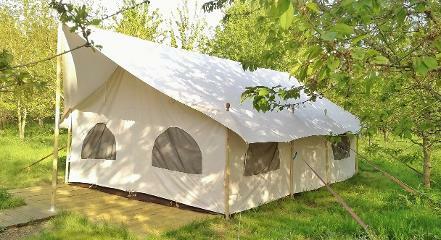 The Classic packages come complete with all the essentials for an off-grid holiday, eco glamping in the woods. For the best glamping experience, our Deluxe packages include the full "kit & kaboodle" with bedding, towels, logs, kindling, charcoal, firelighters & a packet of marshmallows to roast over the fire pit. 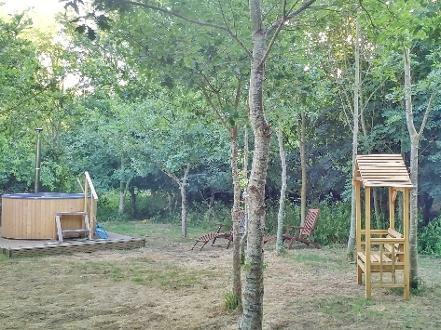 Many people wonder about the best way to book cheap glamping with a hot tub and here in Somerset at Woodland Escape we provide our guests with an attractive offer when booking ahead for 2019, providing 15% off accommodation on hot tub glamping breaks booked before the end of September 2018.